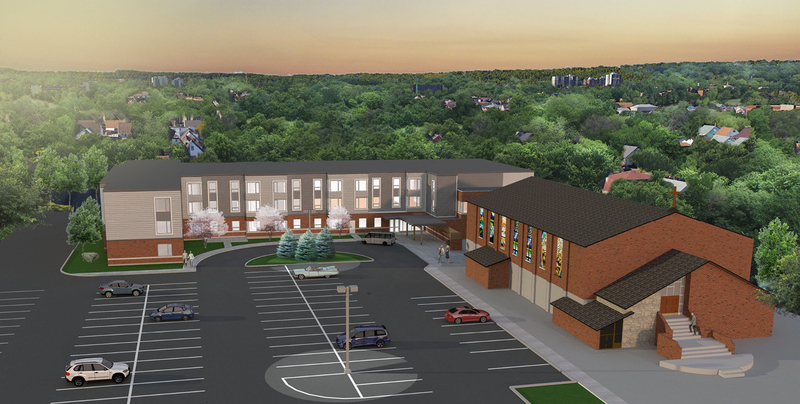 Hamilton Retirement Residence - Strasman Architects Inc. The project is structured to offer a wide variety of opportunities for seniors ages 65 and older. The facility will house programs aimed to enhance quality of life, as well as physical, social, cultural and mental wellbeing with the aim of providing opportunities for volunteerism, skill development, education training, creativity, and expression in a secure and inviting environment. The building houses 60 individual units ranging from 440sq’ studios to 600sq’ standard, one bedrooms to 900sq’ dual master suites. 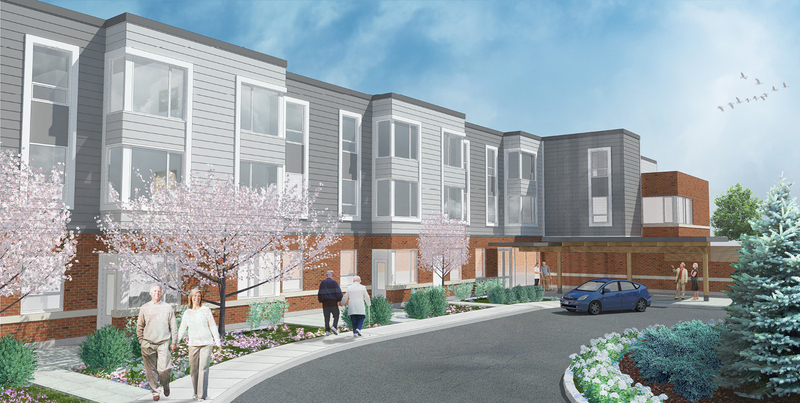 Every unit is designed to accommodate residents and visitors with mobility challenges with designated suites designed to provide full AODA accessibility. Each suite layout has been configured to incorporate a corner window condition in the main living room that allows for two views to the grounds and surrounding residential neighbourhood. 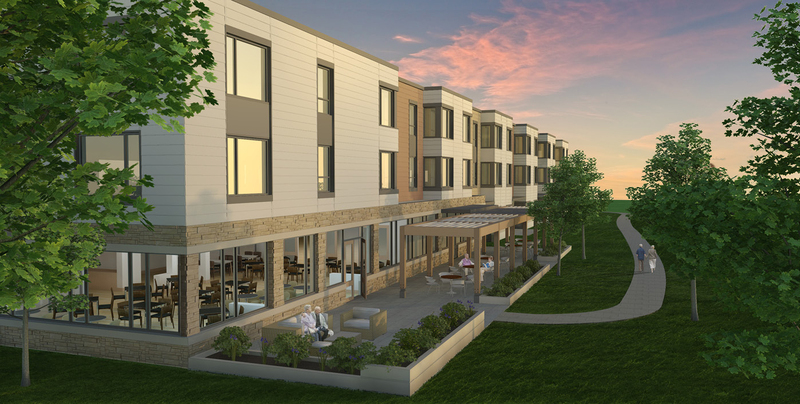 Ground floor suites are configured to provide a small outdoor seating area directly from the living room area to foster interaction between residents as well as connections to the integrated walking paths. A central dining room, living room and activity room are located on the ground floor, with satellite activity rooms and gathering spaces located on the upper levels. 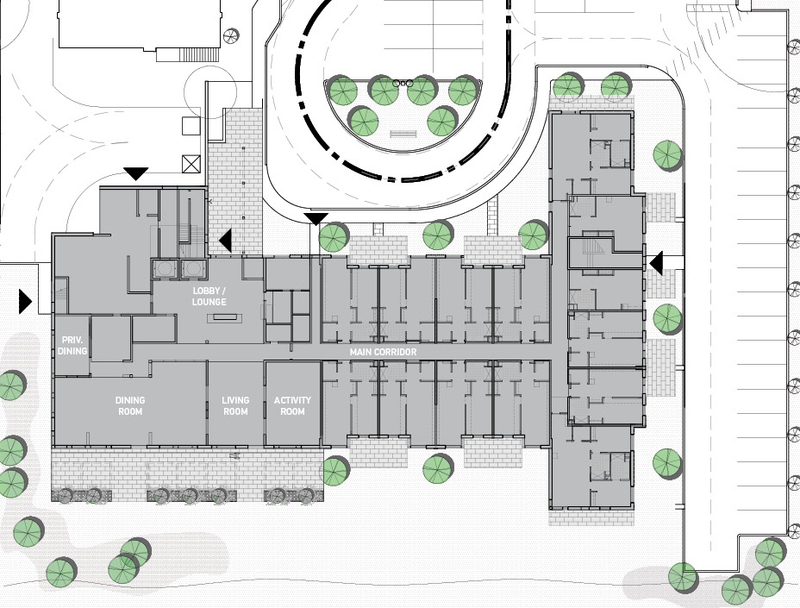 All public areas of the facility are designed to be barrier free, including the exterior activity and gathering areas, with a covered porch area adjacent to the main drop off and pick up area. The entrance lobby is designed around a central fireplace and seating area that not only creates a welcoming setting upon arrival, but serves to engage the residents with the day to day activities of the site. Raised garden beds are integrated into the landscaping strategy providing opportunities for structured and independent residence horticultural activities.